After publishing the 'PRAYING THE SCRIPTURES WITH PRAYHoUSe' website (www.prayh.com) on the World Wide Web, our over 10,000 prayers were said over 300,000 times in less than 2 months, with over 150,000 readers from the United States, India, Kuwait, Canada, South Africa, Philippines, and many more. We received great feedbacks, and over 90% of our readers feel that our prayers are excellent; that's 5 stars out of 5! 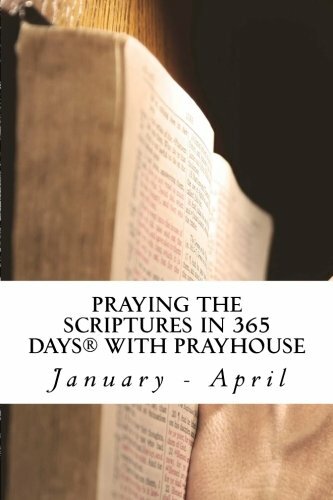 Many of our readers suggested that PRAYHoUSe came as a prayer book, collating some of our over 10,000 prayers, and providing a 365-day prayer guide. That's when the idea for this prayer book sprung up; a single book with 1,098 popular prayers from the PRAYHoUSe website. This is the first volume of the 3-volumed prayer book. PRAYHoUSe Ministries is a nonprofit 501 (c)(3) Charitable Organization that believes 'When prayer becomes a habit, victory becomes a lifestyle'&#x2122; The mission of PRAYHoUSe is to bring God's word to the ears of millions, God's peace into the heart of millions, and testimony to the mouths of millions, through Christ Jesus that strengthens us all (Philippians 4:13).